The project looked at the long history of the relationship between cafes and creativity and how artists have frequented cafes as a place for the exchange of ideas and discussions over a cup of coffee. Sugarcube was made from over 1500 sugar sachets that had been distributed to cafes in Cuba Street, Wellington. 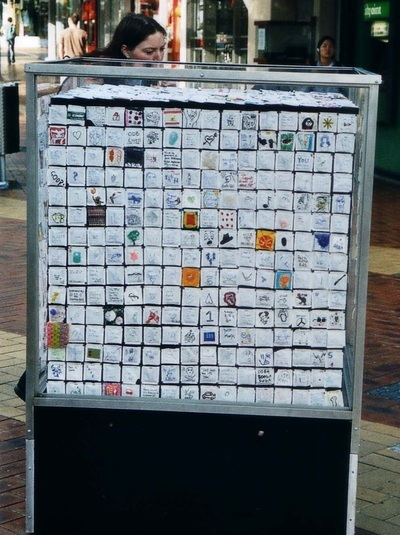 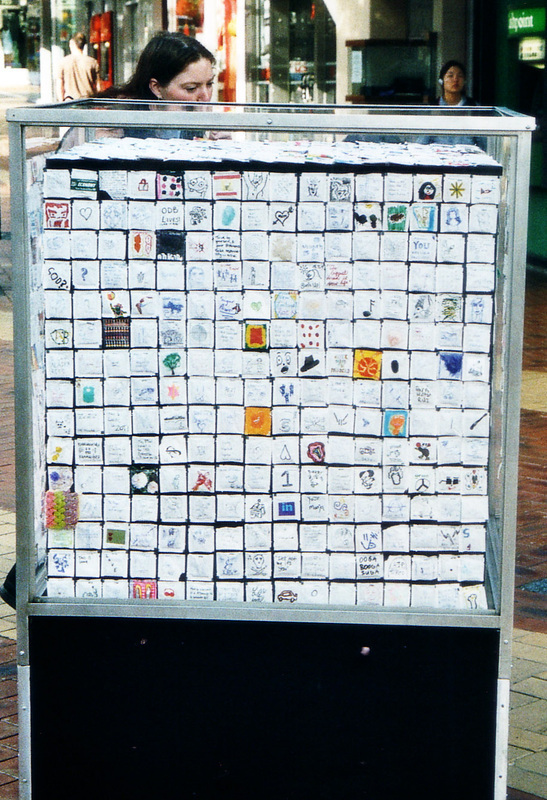 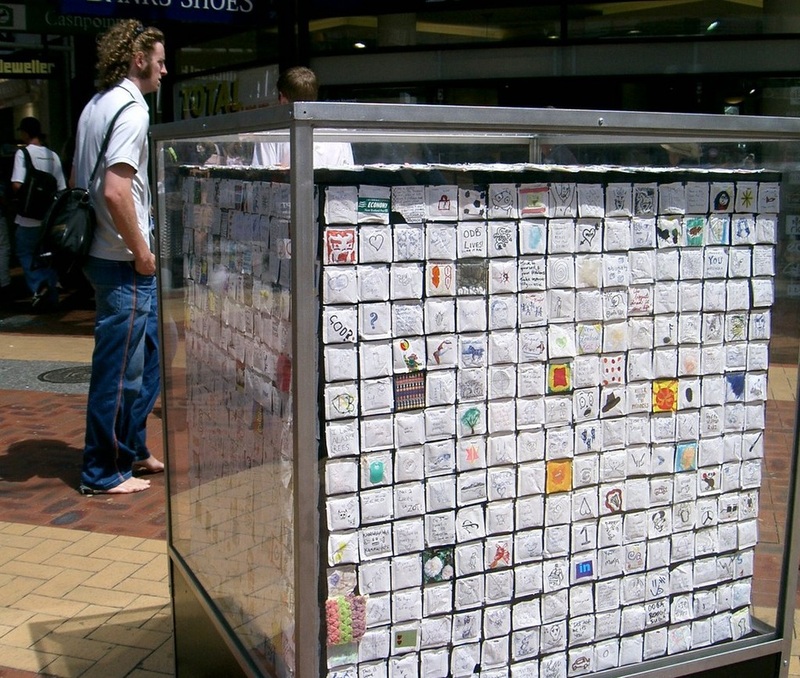 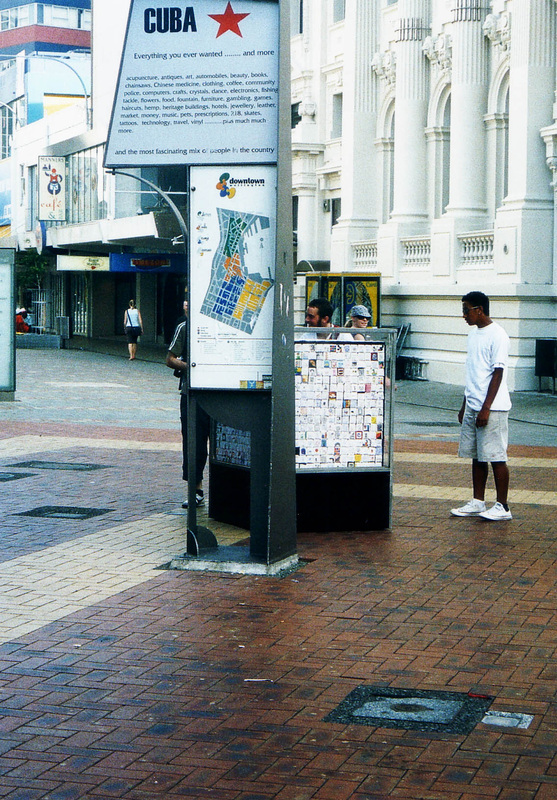 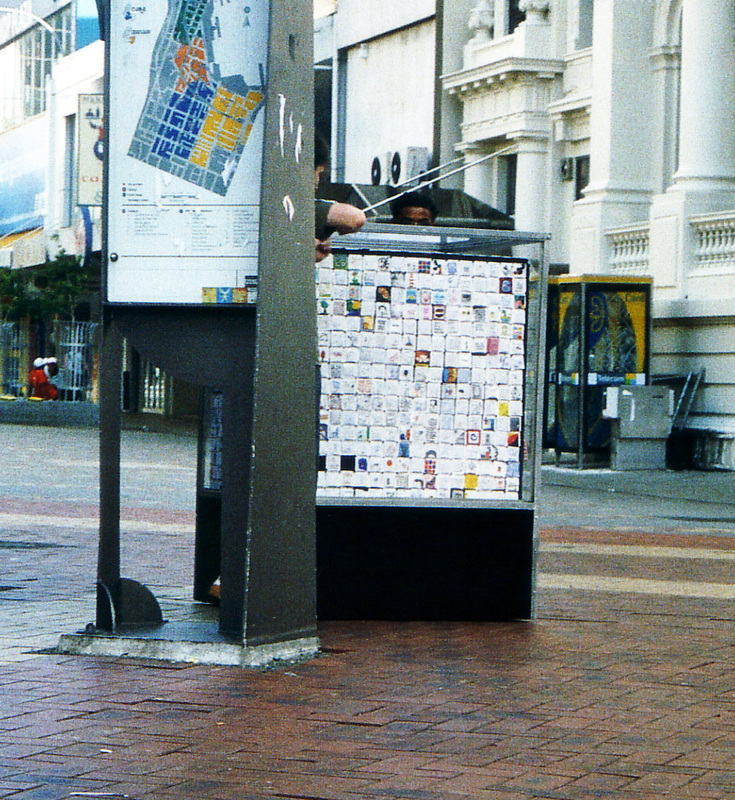 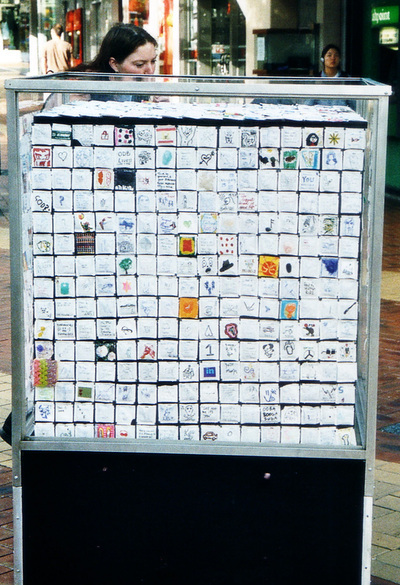 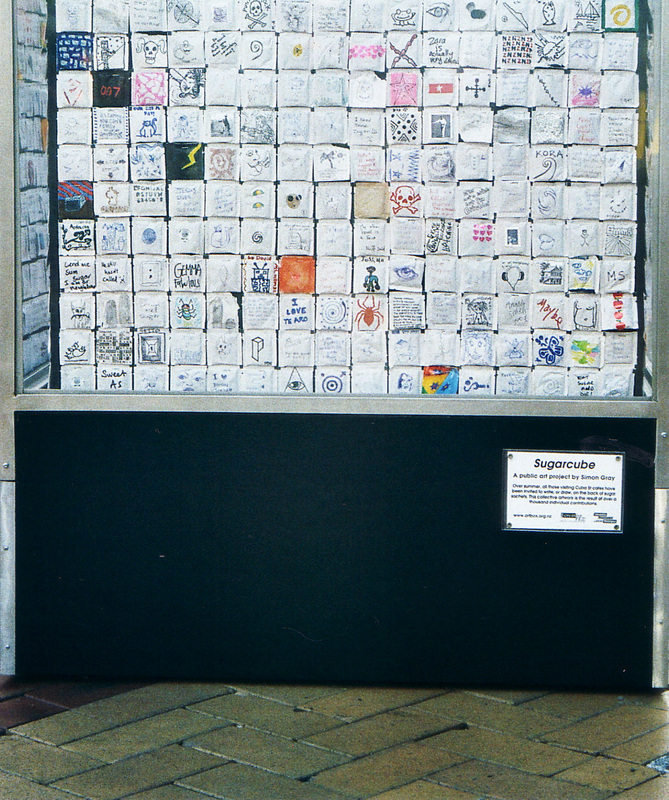 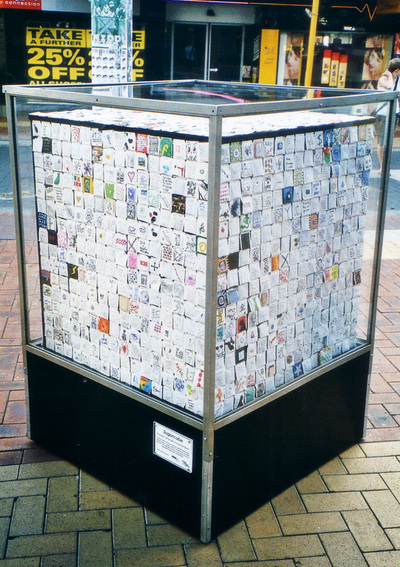 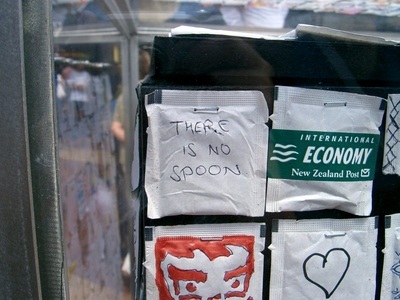 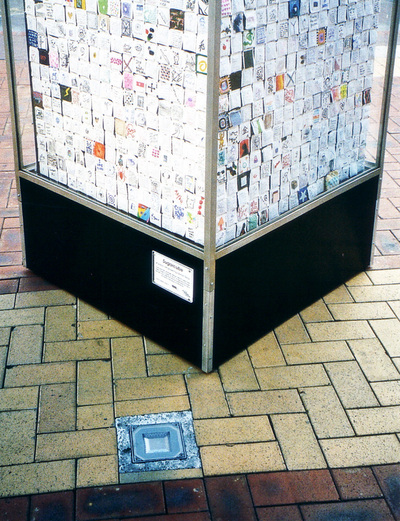 The sachets had instructions asking people to draw or write something on the blank side and then the sachets were exhibited in The Art Box situated on Cuba Street, during February 2005. Some of the photographs below are from Flickr member B3rnda, who recorded the work much better than I did.